What kid doesn’t love to play ball? now they can play indoors and outdoors with this beautifully illustrated and textured 5" sweet dreams play ball. 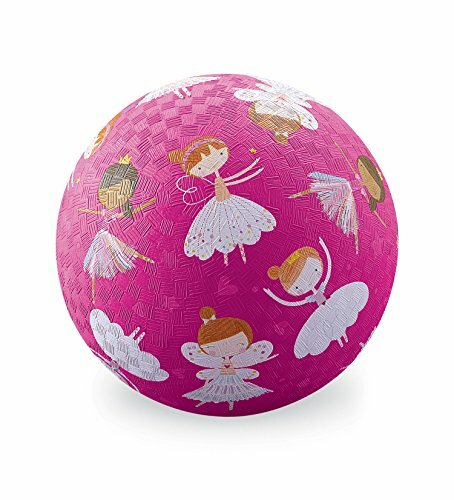 Girls ages 3 and up will love the pretty ballerinas featured on this pink ball. It is made from natural and synthetic rubber and is PVC and BPA free. Perfect for camp, sports, and playground activities including kickball, dodge ball, and foursquare. Encourage your child to be more active with a Crocodile Creek ball. If you have any questions about this product by Crocodile Creek, contact us by completing and submitting the form below. If you are looking for a specif part number, please include it with your message.